I am a Holistic Family Physician who is the founder and director of the Pacific Center of Integral Health in Soquel, CA, established in 1988. I specialize in nutritional and herbal medicine and homeopathy. I have been named "Top Family Physician in California" and "Top Holistic Medicine Practitioner" in the entire United States by the website HealthTap. Multivitamins are NOT a “waste of money”! Beware of flawed studies and biased conclusions!!! However, as many researchers have stated, the case is FAR FROM CLOSED, in fact there is very good reason to believe, based on the preponderance of evidence, that it is wise for nearly every adult to take a good-quality multivitamin. This essay explains why. Before doing so I would like to give some context. While I enjoy participating on HealthTap, I was recently contacted by a fellow physician there who is quite upset that I still counsel people to take multivitamins despite the recent studies. I am thus writing this in response to him and the many others who have been fooled by the recent studies. Before discussing the studies in the 12/17/13 Annals I want to discuss why it makes sense to take multivitamins. But one thing that I want to make very clear is, however beneficial vitamins may be, taking vitamins is never a good substitute for a healthy diet. It is always best to get our nutrients from food whenever possible. Given a choice between someone eating a healthy diet and taking no supplements and someone who eats an unhealthy diet (rich in junk food/fast food/GMO’s/sugar etc.) who takes hundreds of dollars of supplements I would say the person with no supplements but a healthy diet will likely experience far better health. But judicious use of supplements in addition to a healthy diet is the best choice for everyone. In summary, over 2/3 of Americans are deficient in Folate, Vitamin E, Calcium & Magnesium and over 1/3 are deficient in Vitamins A, C and B6 as well as Zinc and Iron. Thus, these deficiencies are widespread and can have serious long-term consequences. Vitamin D deficiency, not measured by the USDA, is also extremely widespread, probably affecting most Americans who do not take at least 1000 iu/day in fall and winter months. Now let’s examine the recent studies that lead some to conclude that multivitamins are “a waste of money.” Many of these conclusions are based on the Physician’s Health Study. This same study was in the news in Nov. of 2012 when it was claimed that this study showed multivitamins don’t prevent cardiovascular disease in men. The current conclusion from the same study is that multivitamins don’t prevent cognitive decline in men as they age. The criticisms I had then are the same I have now. The first thing to realize is that not all multivitamins are created equal. I will mostly quote much of my previous essay with a few minor changes. It took quite a bit of searching to discover what the multivitamin used in this study was, as it is buried in the fine print. The multivitamin used was Centrum Silver. This is considered a perfectly adequate multivitamin by those with only cursory knowledge of nutrition, those who believe that the RDA is perfectly adequate, but for doctors who are knowledgeable about nutritional medicine it leaves a great deal to be desired. More detail as to the form of the vitamins/minerals and excipients is here: calcium carbonate, potassium chloride, dibasic calcium phosphate, magnesium oxide, ascorbic acid, microcrystalline cellulose, dl-alpha tocopheryl acetate, pregelatinized cornstarch and modified food starch. Centrum Silver contains less than 2 percent of the following ingredients: acacia, ascorbyl palmitate, beta-carotene, bht, biotin, boric acid, calcium pantothenate, calcium stearate, cholecalciferol, chromium picolinate, citric acid, cornstarch, crospovidone, cupric sulfate and cyanocobalamin. More ingredients include FD&C blue no. 2 aluminum lake, FD&C red no. 40 aluminum lake and FD&C yellow no. 6 aluminum lake. Further, Centrum Silver contains folic acid, gelatin, hydrogenated palm oil, hypromellose, lutein, lycopene, manganese sulfate, medium-chain triglycerides, niacinamide, nickelous sulfate, phytonadione, polyethylene glycol, polyvinyl alcohol, potassium iodide and pyridoxine hydrochloride. It also contains riboflavin, silicon dioxide, sodium ascorbate, sodium benzoate, sodium borate, sodium citrate, sodium metavanadate, sodium molybdate, sodium selenate, sorbic acid, sucrose, talc, thiamine mononitrate, titanium dioxide, tocopherols, tribasic calcium phosphate, vitamin A acetate and zinc oxide. The 60 mg of Vitamin C used in this study likely has virtually no benefit in preventing heart disease (and no benefit in preventing cognitive decline). Another key nutrient in preventing cardiovascular disease is Vitamin E. Everyone knows that cholesterol plays a role in heart disease. However, the role is a bit more complex than commonly thought. Cholesterol only causes problems if the wall of the arteries are damaged (via inflammation/oxidative stress in situations where Vitamin C levels are suboptimal) and if LDL cholesterol is oxidized, in which case the LDL will bind to or enter the arterial wall. Vitamin E prevents LDL cholesterol from being oxidized and also protects the arterial wall from oxidative stress. tocopherol as well as delta, beta and gamma tocopherols. Doses of 400-1200 units of natural E with mixed tocopherols have been proven to be highly effective in preventing heart disease. 45 units of synthetic E may do more harm than good! Taking only d-alpha tocopherol can lower our levels of gamma tocopherol which can have adverse health consequences, so even supplements with “natural E” that do not have mixed tocopherols may be harmful. See http://www.healthy.net/scr/article.aspx?Id=557 for more on the research proving that Vit. E prevents heart disease. Another key factor in the cause of heart disease (and preventing cognitive decline) is homocysteine, a toxic metabolite of the amino acid methionine. Vitamins B6, B12 and Folate have been shown to significantly lower homocysteine, reducing risk of both heart attack and stroke. The amount of B6 used in this study was a woefully inadequate 3 mg. A much more reasonable dose to reduce homocysteine is 25-50 mg. Many people may benefit even more from pyridoxal-5-phosphate, the activated form of B6. The form of B12 used in this study was 25 mcg of the cyanocobalamin form of B12. B12 is poorly absorbed by many, and cyanocobalamin is the least beneficial of the 3 common forms of B12. At least 1000 mcg of the methycobalamin form is advisable. While the 400 mcg dose of folic acid used is relatively reasonable, about one-half of the population has genetic difficulties converting folic acid to the active form, L-5-methyltetrahydrofolate (L-5-MTHF). There is also evidence that folic acid, a synthetic chemical, may increase risk of certain cancers including breast, prostate and colon. I thus advise taking at least 800 mcg of L-5-MTHF to prevent heart disease and stroke. This study used the RDA of 400 IU of Vitamin D. However, to achieve optimal levels of 45-80 nanomoles per liter most adults need to take 5000-8000 IU/day of Vitamin D3. It is also wise to take Vitamin K along with Vit. D for synergistic benefits. Minerals can also be very helpful. Magnesium deficiency is extremely common and taking Magnesium has many proven benefits but Centrum Silver has only 100 mg of magnesium oxide, which is very poorly absorbed (approximately 4% absorbed). At least 200 mg of a well-absorbed form like taurate, citrate or glycinate would undoubtedly help more. Selenium is also a useful antioxidant but the 20 mcg of sodium selenate is not nearly as beneficial as 100 mcg of selenium monomethionine might. 15 mg of zinc is reasonable but the zinc oxide form is, once again, relatively poorly absorbed compared to other forms of zinc. Centrum silver also contains 4 mg of iron. This is, fortunately, a tiny amount, as iron is a pro-oxidant that is best avoided by all men and post-menopausal women as the evidence suggests that iron actually increases cardiovascular risk! Added to the inadequacies of the quantities and forms of the nutrients in Centrum Silver, it also contains FD&C blue no. 2 aluminum lake, FD&C red no. 40 aluminum lake and FD&C yellow no. 6 aluminum lake, hydrogenated palm oil, polyethylene glycol, polyvinyl alcohol, sodium benzoate, pregelatinized cornstarch (undoubtedly of GMO origin), sucrose, talc and titanium dioxide, ingredients that I strongly recommend avoiding. Hydrogenated oils are among the greatest known risk factors for cardiovascular disease. Aluminum in particular has been linked by many studies to Alzheimer’s disease. Giving a pill with 3 different aluminum-containing chemicals in an attempt to prevent cognitive decline is questionable at best! Myocardial Infarction: A Randomized Trial” I have not yet learned the exact doses and vitamins used in this study but know that they gave only 100 iu of Vit D when, as discussed above, 5000 iu would be a much more reasonable dose. They also only gave 100 mcg of Vit B12, an inadequate dose for many due to its poor absorption. They also only gave the alpha tocopherol form of Vit E (I don’t know if it was natural or synthetic) and that is known to reduce levels of gamma tocopherol, which is probably more important in reducing cardiovascular disease. A study using mixed tocopherols would be more likely to show benefits. Other flaws in this study include the fact that an astounding 46% of subjects discontinued the multivitamins during the study, making any conclusions questionable. Also, the group taking multivitamins had a higher rate of diabetes (which dramatically increases heart disease risk) than the control group, tending to bias the study against the treatment group. In this study all subjects had already suffered a heart attack. They were only given vitamins for an average of 31 months (2 1/2 years). It is much easier to prevent than reverse heart disease and one might expect it would take a longer time to see clear benefits. Despite all of the above limitations, the group receiving vitamins had an 11% reduction in their primary endpoint (composite of time to death from any cause, heart attack, stroke, coronary revascularization or hospitalization for angina). This was not considered statistically significant but that may be a product of the size of the study and does not mean that multivitamins may not have been beneficial! One of those 2 trials that found significant benefit for multivitamins preventing cancer is the same Physician’s Health Study using Centrum Silver that found little benefit in preventing cardiovascular disease and cognitive decline. That study showed an 8% reduction in cancer incidence and 12% reduction in cancer death after 11.2 years of follow-up. If there can be such good results using such a poor quality multivitamin I would expect much more impressive results with a good-quality multivitamin. That article also discusses many studies that do show benefits of vitamin therapy. A meta-analysis published in the Feb.-March 2013 issue of Psychosomatic Medicine, a peer-reviewed journal, titled “Effects of Vitamin and Mineral Supplementation on Stress, Mild Psychiatric Symptoms, and Mood in Nonclinical Samples: A Meta-Analysis” analyzed eight double-blind,placebo-controlled studies on the effects of multivitamins on aspects of mood in 1,292 men and women. Quoting http://bit.ly/1lu4AOU “When the research duo looked at trials that examined stress, supplemented subjects had a 65 percent lower risk of perceived stress compared to those that received a placebo. The analysis uncovered a 70 percent lower risk of mild psychiatric symptoms, a 68 percent lower risk of anxiety, a 73 percent reduction in experiencing fatigue and a 77.25 percent lower risk of confusion among supplemented participants. Happiness and decreased hostility levels were also likelier among supplement users in analyses of studies that analyzed these factors. Supplements that contained high doses of B vitamins tended to elicit greater benefits than those that had lower amounts. “Multivitamin/mineral supplementation has a beneficial effect on many aspects of mood and mild psychiatric symptoms in healthy populations,” they conclude. I find this study particularly significant because as a holistic practitioner it is clear that stress and anxiety are among the greatest and most common contributors to physical health problems, so any treatment that reduces stress and anxiety is certain to benefit our physical as well as our emotional health. So is it reasonable to conclude that “the case is closed — supplementing the diet of well-nourished adults with (most) mineral or vitamin supplements has no clear benefit and might even be harmful. These vitamins should not be used for chronic disease prevention. Enough is enough.”? I believe it is reasonable to conclude that incredibly inadequate/subtherapeutic doses of vitamins in poorly absorbed forms mixed with a variety of toxic excipients are mostly ineffective. I could have told you that before this study. It is also reasonable to conclude that the authors of the quoted editorial are either extremely misinformed and/or incredibly biased against supplements. But, unfortunately, the message the general public is receiving is that “Vitamins are a waste of money” This is, as demonstrated, TOTALLY WRONG and I am concerned that the blind acceptance/uncritical reporting of studies like this will lead many people who are taking one of the many high quality multivitamins that do have reasonable doses and forms of these nutrients to stop taking them out of the mistaken belief that they have been shown to be ineffective. This would be tragic. In Jan. 2018 a study found that a high dose multivitamin significantly reduced risk of cardiovascular disease in men not taking statins. Addendum 2: If you have concluded that it is wise to take a multivitamin, you may wonder which one to take, as clearly some are MUCH better than others. There are many good choices and no single one is best for everyone. I advise looking for one that contains the L-5-MTHF form of folate as at least 40% of the population has difficulty converting folic acid to folate. I also advise choosing one that has the methylcobalamin or hydroxycobalamin forms of Vitamin B12 rather than the cyanocobalamin form. Ideally it should have relatively well-abosrbed forms of minerals. For example, if it has magnesium oxide I consider that a sign of a poor-quality vitamin, whereas if it has magnesium glycinate, taurate, malate, citrate or aspartate it is better quality. The best have natural Vitamin E with mixed tocopherols. I also like vitamins that have auxiliary nutrients such as Coenzyme Q10, Alpha Lipoic Acid, Lutein etc. I personally prefer capsules, are GMO-free and like those with minimal fillers, binders and excipients. Some of my favorite multivitamins are UltraNutrient by Pure Encapsulations, Basic Nutrients (and other multivitamins) from Thorne Research and DFH Complete from Designs For Health. My favorite that is designed to take just one a day of is O.N.E. Multivitamin from Pure Encapsulations, though to make room for all the other important nutrients in it, it does not have calcium nor magnesium. Some protein powders such as UltraClear by Thorne also contain all the ingredients of a multivitamin combined with protein and other nutrients. This essay is part of my ongoing series of essays on Diet and Health but I thought I would also give it its own section here so it does not get lost in the shuffle! A common concern regarding diet is the importance of choosing organic food. While I am a strong supporter of organic food, it is significantly more expensive than conventional food. Also, if one eats at restaurants many of them do not have organic food (or only some of their food is organic). So a common question is “Is organic food really worth the extra expense? What is the risk of eating non-organic foods?” And, like everything related to the complex realm of diet and health, the answers are not black and white. Many people question whether there are even any benefits to eating organic foods. Indeed, in Sept. of 2012 the media was awash with reports of a major study at Stanford University that claimed that organic food was not substantially different than factory-farm foods in terms of its nutritional content. These results are actually highly questionable (see below) but even if true, totally ignores the main reason most people originally have chosen organic foods, which is to minimize exposure to pesticides. These days, however, I feel there is a much more important reason to eat mostly organic foods, which is to avoid genetically modified (GMO) foods. While natural substances like sulphur were used as pesticides since about 2500 BC, pretty much all food grown would have met modern organic standards until after World War II, when DDT use became widespread. In the 1960’s DDT was found to cause environmental havoc as it spread through the food chain and its use in the US was curtailed, but by then many other pesticides had come into widespread use. Over 600 registered pesticides are in use in the US currently. In 2007 877 million pounds of pesticides were used in the US. Also, 150 million pounds of the toxic herbicide Round-Up are used annually in the US. Significant amounts of pesticide and herbicide residues are found in many non-organic foods. unknown to most, organic farmers can and do often use pesticides- it is just that the pesticides they use are natural “organic” pesticides like pyrethrum and rotenone. Just because something is natural does not mean it is non-toxic- consider mercury, cyanide and death-cap mushrooms as natural substances that are harmful. Some of the natural pesticides used in growing organic foods can be more hazardous than many of the synthetic pesticides used, some of which break down rapidly and are gone by the time you eat the food! Despite the findings of the “Stanford Study” ( “Are Organic Foods Safer or Healthier Than Conventional Alternatives? : A Systematic Review”, Crystal Smith-Spangler et. al. Annals of Internal Medicine, 9/4/2012, http://annals.org/article.aspx?articleid=1355685 ) that purported to find no significant difference in the nutritional content of organic vs. conventional foods, a similar large-scale review of the literature, “Agroecosystem management and nutritional quality of plant foods: The case of organic fruits and vegetables” by Kirsten Brandt et. al. published in Critical Reviews in Plant Sciences 4/29/11 ( http://www.ncl.ac.uk/afrd/research/publication/168871) found a significantly higher level of beneficial nutrients such as flavanols. Quoting from Lynne Peeples’s article “Stanford Organics Study: Have Faulty Methods, Political Motivations Threatened Kids’ Health?” (http://www.huffingtonpost.com/2012/09/13/stanford-organics-study-public-health_n_1880441.html) “Brandt wondered how the Stanford team, led by faculty from the School of Medicine and Center for Health Policy, could have found no difference in total flavanols between organic and conventional foods when her own results showed organics carried far more of the heart-healthy nutrient. Upon further inspection, she noticed that the team had actually calculated the difference in total flavonols, a different nutrient, and reported the result with the swap of an “o” for an “a”. Quoting Ms. Peeples more, “Further obscured in the review…are organics’ more important selling points. Organic farming methods encourage soil and water conservation and reduce contamination of air, water, food and human bodies by avoiding antibiotics, hormones, synthetic pesticides and chemical fertilizers. Genetic engineering, under increased scrutiny by health experts, is also prohibited for organics. While the researchers didn’t address many of these health concerns, they did note lower levels of pesticide residues and antibiotic-resistant bacteria in organic compared to conventional foods. But critics suggest that these points were glossed over or manipulated. For example, the authors reported that organic produce had a 30 percent lower risk of pesticide contamination compared to conventional fruits and vegetables. Not included in the publicly-available abstract or press release was the fact that pesticide residues were found in 7 percent of organics and 38 percent of conventional foods. In relative terms, that’s a more impressive 81 percent difference. The bottom line is that Organic Foods are more nutritious and have an 81% lower chance of having measurable pesticide residues and even when such residues are present are likely to have much fewer pesticides. Organic meats are less likely to harbor antibiotic-resistant bacteria. Organic farming is also, of course, much better for our environment and for the health of farmworkers. Most processed foods contain GMO corn, soy or canola oil- the corn and soy is often present as vegetable oil, high fructose corn syrup, corn starch, dextrose, soy sauce, lecithin etc.- even “natural flavoring.” Of great concern to me is that most animal-derived foods- meats, dairy and eggs, comes from animals fed GMO corn and soy. I don’t want to eat cheese from cows fed GMO corn or eggs from chickens fed GMO soy. I don’t care if a chicken is “All-Natural Free-Range Hormone & Antibiotic Free.” If it is not certified organic it has almost certainly been raised on a diet of GMO corn and/or soy! There is an old saying, “You are what you eat.” In the case of dairy, eggs and meats, you are also the food that what you eat eats! I don’t believe that an animal fed GMO corn and soy can possibly be healthy and I certainly don’t want to eat it (or its products like eggs and dairy). Unfortunately, most restaurant food is cooked with GMO oils. Thus, the only way to avoid GMO’s is to choose whole foods that are not yet genetically modified, choose foods such as corn, soy and papayas that are certified organic and choose processed foods that are organic or labelled as GMO-free and, besides wild fish, to only have meats, dairy & eggs that are certified organic. So, given how much an effort it takes to avoid GMO’s, why should we make the effort? Let’s examine the most commonly eaten GMO food, corn. In his superb book, The Omnivore’s Dilemma, Michael Pollan discusses evidence that most of the carbon in our bodies ultimately comes from corn, either from eating corn directly, high fructose corn syrup, corn oil, or from eating dairy, eggs & meats fed on corn. The way corn is genetically modified is by inserting a gene from soil bacteria called Bt (Bacillus thuringiensis) that produces a chemical called Bt-toxin. Bt-toxin is a pesticide; when certain insects eat Bt-toxin it breaks open their stomachs and kills them. Think about this- normally pesticides are sprayed onto plants. If we are lucky only traces of it remain and perhaps some of the residues can be washed off, but not in this case. Each ear of corn has been turned into a pesticide factory. Pesticides permeate the entire plant; there is no removing them. Thus, it would be nice if there was evidence that Bt toxin was safe for human consumption. Such evidence does not exist. Monsanto claimed that the Bt toxin would be completely destroyed by the human digestive system. However, research in 2011 found that Bt toxin can be found in the blood of 93% of pregnant women and in the umbilical cord blood of 80% of their babies. Here is an article from 9/24/14 by Thierry Vrain, a former research scientist for Agriculture Canada. Part of his job was to address public groups to assure them that GMO foods were safe. Quoting his essay, “I have in the last 10 years changed my position. I started paying attention to the flow of published studies coming from Europe, some from prestigious labs and published in prestigious scientific journals, that questioned the impact and safety of engineered food. However, there are two (or more) sides to every story and shortly after the above story went viral online, a rebuttal appeared claiming that most wheat in the US is not treated with Roundup prior to harvest (though it admits a portion of it is). While this column minimizes the toxicity of Roundup by ignoring the case against it, it does seem to make valid points about treatment with Roundup being less common than claimed by some. Still, I advise choosing organic wheat when possible to minimize the possibility of contamination by Roundup. for more on this important concern. There are NO research studies demonstrating that GMO foods are safe for humans to eat. ZERO. NONE AT ALL. Given how unlikely it is that our leaders will respond to the public’s desire for GMO labeling, the best hope is the action of individual states. However, in the November 2012 election, California State Proposition 37 to label GMO foods was narrowly defeated after Monsanto and companies that produce GMO-containing foods outspent proponents five to one with a very deceptive advertising campaign. Prior to the campaign 91% of Californians said they supported GMO labeling! A similar proposition was narrowly defeated in Washington State in Nov. 2013 after another massive and deceptive advertising campaign by opponents. And another proposition was defeated 50.5% to 49.5% in Oregon in Nov. 2014. However, in April of 2014 the Vermont legislature passed the first law requiring GMO labeling, slated to take effect in 2016, though 4 national organizations have filed a lawsuit challenging the law as unconstitutional! Unfortunately due to the current lack of labeling, the only way to avoid GMO exposure is to eat mostly organic!!! WHAT IS THE BEST DIET??? We are early into the new year. Among the most common New Year resolutions are those to lose weight and/or follow a healthier diet. There is a great deal of debate about which diet is the healthiest, but there should be no debate that the Standard American Diet (appropriately abbreviated SAD) is one of the main causes of our epidemics of obesity, cardiovascular disease, cancer, autoimmune disease and other chronic degenerative diseases. Some frightening facts about the Standard American Diet: Only 7% of calories consumed by Americans are from fruits and vegetables. Half of the vegetables are potatoes and half of those are chips and fries. 23% of the calories consumed by Americans are from white sugar and about 20% from white flour. (see http://alaskaveg.org/SpookyFacts/SpookyFacts.pdf ). I don’t think there is one single answer to this extremely important question. There is great variety in the human genome and the old saying “one man’s meat is another man’s poison” is quite true. But there are general principles that are reasonable for almost everyone to follow, which I will arrive at as this essay progresses. There is no single “best diet” for everyone! Treat any claim that everyone should follow a specific diet with skepticism. a huge number of diets out there and experts who advocate them. One of the biggest divides in recent decades has been the split between Low-Fat diet advocates (including Nathanial Pritikin, Dean Ornish and John McDougall) and the Low-Carb diet advocates (like Robert Atkins and more recently Gary Taubes). Other popular diets in recent times are the Paleo Diet, Vegetarian and Vegan Diets, Raw Food Diets, the Fat Flush Diet, the Body Ecology Diet, Alkalinizing Diets etc. sugars and drinks over 600 12 oz. servings of soda each year! Undoubtedly this is a recipe for disaster, one that is evidenced by the epidemics of obesity and diabetes. found in dark leafy greens. When you do have these, have them in moderation with or after a balanced meal, never by themselves. foods and long-chain saturated fats. WHAT ABOUT THE BLOOD TYPE DIET OR METABOLIC TYPING? you. Many practitioners recommend these diets and many people who have tried them feel they help. But what does the science say? The metabolic typing advocated by Wolcott does make more sense to me than the blood type diet but I am not aware of any research that validates it, which make it hard to advocate for. proven methods to readily determine which diet is best for you. be individualized and is based somewhat on trial and error. vegetarianism, I will focus here on the health aspects of this diet. Adventist men who were vegetarian live 7.28 years longer than average and women live 4.42 years longer. Vegetarians have a 24% lower mortality from heart disease. Vegetarian diets also prevent hypertension, lower blood pressure and decrease risk of stroke. Vegetarians have up to a 40% lower risk of cancer. Vegetarians tend to weigh less than meat-eaters, who have an average Body Mass Index 8.3% higher than vegetarians. Vegetarians also have a lower risk of diabetes. However, there are many who argue that an entirely vegetarian diet is unnatural. Later in this essay I will discuss the invaluable research of Weston Price, who found that the aboriginal diets of the 14 healthiest populations on Earth he investigated all included animal foods. It is not clear to what degree the proven benefits of a vegetarian diet are due to the inclusion of large amounts of vegetables and fruits versus the absence of meats. The (likely conservative) recommendations of the USDA are that Americans have 5-13 servings of fruit and vegetables a day depending on age/gender/activity level, but the average American eats about 3 servings per day. Only 7% of the calories consumed by the average American come from fruits and vegetables. Half of all vegetables consumed are potatoes and half of all potatoes consumed are deep-fried as French fries or chips! Bottom line: there is room for debate as to whether it is wise to include meat/animal-based foods in one’s diet, but whether one is vegetarian or not there is overwhelming evidence that it is beneficial to include large quantities of fruit and vegetables in our diets. cancer and diabetes. Even if one is not a vegetarian, it is wise to include a large percentage of plant-based food in one’s diet. who ate the most plant-based foods were the healthiest and tended to avoid chronic disease.” Much of the book is devoted to discussing the hazards of milk, especially the milk protein casein. diet after reading it. However, it has received a great deal of criticism. This is a lengthy yet very well-documented and reasoned critique, made quite readable by the author’s sense of humor. In this debate I tend to side with Ms. Minger; there is too much data that clearly contradicts the conclusions of Dr. Campbell and Dr. Esselstyn to endorse their views. This does not mean that a largely plant-based diet is not healthy; but it does mean that I do not believe that all fats and animal-derived foods are toxic. While there is some evidence that a low-fat vegan diet can help to reverse cardiovascular disease, sound science has not yet objectively demonstrated advantages of a vegan diet over a vegetarian diet. in this essay when I explore the ideas of Weston Price, there is good evidence of the health benefits of including at least some animal-derived food in our diets. protein that is found in wheat, rye and barley. Oats don’t contain gluten but are often contaminated with gluten so should be avoided unless labeled gluten-free. Gluten-free grains are millet, quiona, amarinth and buckwheat. Gluten Sensitivity, making it far more common. But even those without such sensitivities might have far better health by minimizing wheat consumption. Symptoms of Gluten Sensitivity are similar to those of celiac disease, but celiac tends to cause more gastrointestinal symptoms (though gluten sensitivity can cause GI symptoms). Non-Celiac Gluten Sensitivity often primarily causes symptoms outside the GI tract such as headache, brain fog, muscle and joint pains, fatigue and numbness (though celiac can cause these too). gluten for 2-4 weeks to see how you feel, and then reintroducing it to see if it causes symptoms. that if one has Celiac they will never be able to tolerate Gluten. Non-Celiac Gluten Sensitivity is a reversible condition that is caused by inflammation of the intestinal lining. With avoidance of gluten and measures to heal the intestines it will disappear over time. I don’t agree with all her critiques but she does make some good points. I would love to see Dr. Davis’s response, but have not found a response by him yet. Many people who try a gluten-free diet do feel noticeably better and thus conclude that they are sensitive to gluten. However, they may only be sensitive to the structurally-altered form of gluten found in the modern wheat plant. Many of these people may tolerate gluten in oats, rye and ancient grains like spelt, teff and kamut. Just as many people once thought that all fat was bad and then learned there are good fats and bad fats, just as many people thought all carbs are bad and have now learned there are good carbs and bad carbs, I think we will learn that, except for the small percentage of people with true celiac disease, that there are good glutens and bad gluten! multiple symptoms include dairy, eggs, corn, soy and almonds. While there are blood tests that will often show evidence of food sensitivities, these tests have significant false positives and false negatives. The ultimate way to check for food sensitivities is to eliminate commonly allergenic foods for a week or more and then reintroduce individually. Sensitivity to gluten and other common foods is surprisingly common. Modern wheat is a very different plant than the wheat of our ancestors and may be unhealthy even for those without gluten sensitivity. Many people feel much better when avoiding offending foods. Summarizing some of the main principles, while there is no single best diet for everyone, I advise that people eat whole unprocessed foods as much as possible, with an emphasis on organic vegetables as well as organic less-sweet fruits. Include raw foods in your diet. Animal foods that have been raised organically or are wild are reasonable in moderation but not everyone needs meat. Minimize fried foods, sugars and simple starches. Eat slowly, chew your food well and enjoy what you eat. Avoid overeating. If you do have sweets enjoy them in moderation after a well-balanced meal. Pay attention to how you feel after various foods to determine how they agree with you. I have more controversies and concepts to explore. What about Raw Food Diets? Alkalinizing Diets? The Specific Carbohydrate/GAPS Diet? This and more will be discussed here in the future so stay tuned! 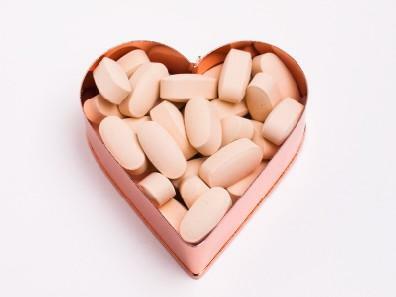 Vitamins REALLY DO Prevent Heart Disease- beware of MISLEADING STUDIES!!! Newspapers around the country had headlines like “Multivitamins Don’t Prevent Heart Disease.” In searching this study I found hundreds of articles that all reported this without one single article yet (as of the morning of 11/11/12) questioning these findings. But, as a medical doctor who specializes in Nutritional and Preventive Medicine I know, based on hundreds of other studies, that it has been shown time and time again that a wide variety of vitamins can and do prevent heart disease. Something doesn’t add up, so I decided to take a look at this study. It took quite a bit of searching to discover what the multivitamin used in this study was, as it is buried in the fine print. The multivitamin used was Centrum Silver. This is considered a perfectly adequate multivitamin by those with only cursory knowledge of nutrition, those who believe that the RDA is perfectly adequate, but for doctors who are knowledgeable about nutritional medicine it leaves a great deal to be desired. One of the best ways to prevent cardiovascular disease is Vitamin C. In his very well-written book Prevent America’s #1 Killer, cardiologist Dr. Thomas Levy (also a lawyer) presents an excellent case that Vitamin C may be the single best way to prevent heart disease. This is because adequate Vitamin C is essential for creating healthy glycoproteins, a substance which plays a key role in the structural integrity of the endothelium (inner lining of our blood vessels). Inflamed/damaged endothelium is the ultimate pathology underlying cardiovascular disease. See http://www.drpasswater.com/levy.htm for a fine interview with Dr. Levy summarizing his research. The 60 mg of Vitamin C used in this study likely has virtually no benefit in preventing heart disease. The study used 45 IU of Vitamin E in the form of dl-alpha tocopherol, a synthetic form of Vit E that has been shown to be toxic in several previous research studies. Unlike synthetic E, which contains the synthetic chemical l-alpha tocopherol, natural E has only d-alpha tocopherol as well as delta, beta and gamma tocopherols. Doses of 400-1200 units of natural E have been proven to be highly effective in preventing heart disease. 45 units of synthetic E may do more harm than good! See http://www.healthy.net/scr/article.aspx?Id=557 for more on the research proving that Vit. E prevents heart disease. Another key factor in the cause of heart disease is homocysteine, a toxic metabolite of the amino acid methionine. Vitamins B6, B12 and Folate have been shown to significantly lower homocysteine, reducing risk of both heart attack and stroke. The amount of B6 used in this study was a woefully inadequate 3 mg. A much more reasonable dose to reduce homocysteine is 25-50 mg. Many people may benefit even more from pyridoxal-5-phosphate, the activated form of B6. The form of B12 used in this study was 25 mcg of the cyanocobalamin form of B12. B12 is poorly absorbed by many, and cyanocobalamin is the least beneficial of the 3 common forms of B12. At least 1000 mcg of the methycobalamin form is advisable. While the 400 mcg dose of folic acid used is relatively reasonable, about one-third of the population has genetic difficulties converting folic acid to the active form, L-5-methyltetrahydrofolate (5-MTHF). There is also evidence that folic acid, a synthetic chemical, may increase risk of certain cancers including breast, prostate and colon. I thus advise taking at least 800 mcg of 5-MTHF to prevent heart disease and stroke. The study used the RDA of 400 IU of Vitamin D. However, to achieve optimal levels of 50-100 nanomoles per liter most adults need to take at least 4000-5000 IU/day. Another key nutrient that helps to prevent heart disease is Vitamin K. Whereas Vitamin D is necessary for us to absorb calcium, vitamin K makes sure that the calcium we absorb winds up in our bones and not in our arteries. Research has shown that Vitamin K both prevents and reverses atherosclerosis. Doses used in these studies are around 1 mg which is 1000 mcg. Doctors in this study were given 10 mcg. Minerals can also be helpful. Magnesium has many benefits but Centrum Silver has only 100 mg of magnesium oxide, which is poorly absorbed. At least 200 mg of a well-absorbed form like taurate, citrate or glycinate would undoubtedly help more. Added to the inadequacies of the quantities and forms of the nutrients in Centrum Silver, it also contains FD&C blue no. 2 aluminum lake, FD&C red no. 40 aluminum lake and FD&C yellow no. 6 aluminum lake, hydrogenated palm oil, polyethylene glycol, polyvinyl alcohol, sodium benzoate, pregelatinized cornstarch (undoubtedly of GMO origin), sucrose, talc and titanium dioxide, ingredients that I strongly recommend avoiding. So, with the above in mind, is it fair to conclude that “multivitamins do not prevent heart disease?” The only thing that can be concluded is that incredibly inadequate/subtherapeutic doses of vitamins in poorly absorbed forms mixed with a variety of toxic excipients do not prevent heart disease. I could have told you that before this study. But, unfortunately, the message the general public is receiving is that “Vitamins Don’t Prevent Heart Disease!” This is, as demonstrated, TOTALLY WRONG and I am concerned that the blind acceptance/uncritical reporting of studies like this will lead many people who are taking one of the many high quality multivitamins that do have reasonable doses and forms of these nutrients to stop taking them out of the mistaken belief that they have been shown to be ineffective. This would be tragic. While this post has focused on the research proving that vitamins and minerals can prevent heart disease, there are many other nutrients that also help prevent cardiovascular disease. These include amino acids like Lysine, Proline and Taurine, antioxidant flavonoids like Anthocyanins and Proanthocyanins, healthy sugars like D-Ribose, enzymes like CoQ10 and Omega 3 and 6 Essential Fatty Acids. Herbs like Hawthorne and Turmeric and supplements like Resveratrol are also useful. As important a role as the right vitamins and minerals can play in reducing heart disease, these will work much better in the context of a comprehensive holistic approach. Chronic infections, especially periodontal disease and chronically infected root canals, contribute to heart disease, as do heavy metals like lead and mercury, so treating those conditions can be quite important. It is obviously crucial to minimize our exposure to tobacco smoke and other avoidable toxins. Minimizing dietary sugars and starches and trans-fatty acids (found in most fried foods) is also important, as is avoiding foods from animals fed GMO’s and loaded with hormones and antibiotics, including dairy and eggs. Grass-fed beef, low-mercury wild seafood, organically-raised poultry, eggs and dairy are fine in moderation, but one should emphasize organic vegetables and fruits, nuts, seeds and beans. Obviously exercise and stress-reduction also play important roles in preventing heart disease. And perhaps the best medicine of all for preventing heart disease is LOVE. However, even though love may be the most powerful force in our universe, it would take a whole lotta love to counteract the effects of toxic foods and vitamin deficiencies! Few subjects in medicine are as controversial as vaccination. Both sides of the debate are passionate. Most vaccination advocates sincerely believe that vaccinations are safe and effective and save lives; they believe that those who do not vaccinate their children are foolishly endangering them, not only risking their lives but endangering others in the community as well. Vaccination opponents sincerely believe that vaccines are neither safe nor effective and have a significant potential of causing serious irreversible harm. Neither side is easily persuaded by the opposing side’s arguments. One would hope that science would provide the information necessary to settle this disagreement, but, unfortunately, the type of research that could best answer this question (long-term prospective studies evaluating the health of vaccinated vs. unvaccinated children) has not been done. 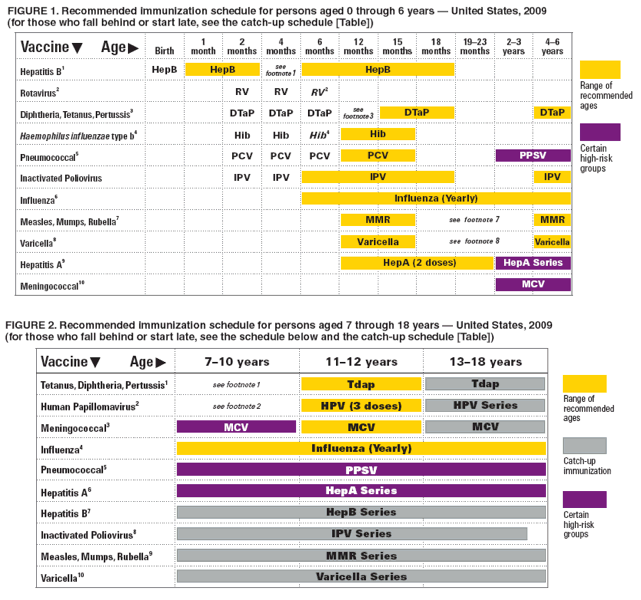 Each vaccine has its own set of risks and benefits, so the rational approach is to evaluate each individual vaccine with regards to risks and benefits. However, the full extent of the risks and benefits are not fully known. Those favoring a vaccine will tend to emphasize the benefits and minimize the risks, while opponents tend to minimize the benefits while emphasizing the risks. Intelligent people may disagree. Because this issue is far from black and white, I advise my patients to read both sides of the debate and make their own decisions. However, there is one vaccine that I strongly recommend against, which is the Hepatitis B vaccine for newborns. Newborns have virtually no risk of getting Hepatitis B and this vaccine has many serious adverse reactions. In a 1993 survey 87% of pediatricians and family practitioners felt this vaccine was unnecessary in newborns. I also have strong concerns about the safety of the HPV vaccine and about immunizing children for influenza. The polio vaccine no longer seems necessary, the chickenpox vaccine seems like a bad idea and there are significant questions about the safety of the MMR vaccine. I will briefly summarize the main arguments pro and con vaccines: Vaccine advocates believe vaccinations are largely responsible for the tremendous decline of serious childhood infectious diseases such as smallpox and polio. 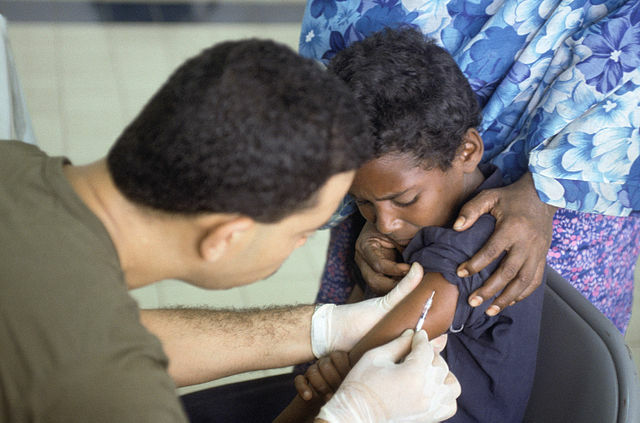 Critics note that nearly 90% of the decline in childhood mortality from infectious disease occurred before 1940, before most current vaccines were available or widely used. This decline was primarily due to improved sanitation, hygiene and other public health measures. Vaccine advocates feel vaccines are effective in preventing disease. Critics point out that an overwhelming majority of those who have been infected with measles, mumps and pertussis in recent years were vaccinated. Mortality from influenza is just as high in years when the influenza vaccine is a perfect fit for the circulating strains as in the years when influenza vaccine does not at all match the circulating strains and is thus worthless, suggesting that influenza vaccine does not save lives. Vaccine advocates claim that vaccines are largely safe, with most adverse effects being mild and serious adverse effects rare. Critics point out that vaccines have been linked with anaphylaxis, Guillain-Barre syndrome, polyneuropathy, thrombocytopenia, encephalopathy and death. These are acute reactions known to occur within hours or days of vaccination. There is concern that vaccines may commonly cause more insidious long-term reactions that do not manifest immediately, like allergies, asthma, autism, arthritis, colitis, multiple sclerosis and other autoimmune diseases and may also cause cancer many years later. A study published in 2000 involving 14,000 children found those who had received the DPT or tetanus vaccine were twice as likely to develop asthma and 63% more likely to have other allergy symptoms than unvaccinated children. 2) the effects of vaccines on immune function. Natural immunity after infection is much more complex than the type of immunity conferred by vaccines. This is why many people will get infections they have been vaccinated against. Many vaccines have been shown to at least temporarily suppress immune function and some have been shown to trigger autoimmune disease. Giving vaccines by injection is an unnatural process that the immune system has not evolved to handle. 3) the unknown effects of giving multiple vaccines, often at the same time, and starting as early as the first day of life, when the immune system is still largely undeveloped. Even many vaccine advocates believe it is wiser to start vaccines when the child is older and to not give so many at once. Current CDC recommendations call for children to receive 33 vaccinations for 14 diseases in the first 18 months of life. 4) the hazards of waning immunity. Chickenpox is fatal in 1 out of 100,000 children, but 31 of 100,000 adults. A child who gets chickenpox is immune for life, whereas those who are vaccinated have imperfect short-lasting immunity (18-34% still get chickenpox 5-10 years after vaccination) and will be more prone to becoming infected later in life. This is one of many such examples, with other illnesses such as mumps also much more serious in older people. 6) the contamination of vaccines with live viruses, prions and oncogenes. Vaccines are manufactured by culturing bacteria and viruses in live tissues, such as chicken eggs, cow serum and monkey kidneys. Many vaccines have been shown to be contaminated with live viruses including retroviruses and fragments of DNA from host cells and viruses. Polio vaccine was contaminated with the SV40 virus between 1955-1963, when 100 million Americans were vaccinated. This virus is known to cause cancer in animals and has integrated into the genetic code of those vaccinated. This virus is often detected in a wide variety of human cancer cells, including brain cancer, bone cancer and lymphoma. 7) another fascinating though rather esoteric (yet potentially profound) objection to vaccination is advanced by proponents of Anthroposophical Medicine, a sophisticated system and philosophy of healing based on the work of German philosopher Rudolph Steiner (who also founded the Waldorf schools). Anthroposophic physicians believe that humans have co-evolved with viruses such as measles and that contracting these illnesses plays a key role in the psycho-spirtual and physiological evolution of a child’s development. They believe that childhood illnesses allow the physical body to transform to match changes in their etheric beings. Therefore, vaccination interferes with this natural and important process that enables personal evolution and development. This is, of course, rather difficult to either prove or disprove via our current scientific methods but adds another interesting dimension to this debate. A reference to a more detailed discussion of this is included below. One of the principle precepts of medical ethics is “primum non nocere,” first do no harm. No one denies that vaccines can and do cause serious harm to at least some of the recipients; what is in debate is whether this is a tiny fraction or very significant percentage. Vaccine proponents feel that this risk is counterbalanced by the benefits, but while many of the risks are well proven, the benefits are surprisingly unproven and questionable. As mentioned in the article above, besides the toxic chemicals deliberately added to vaccines they contain many dangerous contaminants. This article from the mainstream International Journal of Vaccines and Vaccination published on 1/23/17 says “”It is important to remember that particles (crystals and not molecules) are bodies foreign to the organism and they behave as such. More in particular, their toxicity is in some respects different from that of the chemical elements composing them, adding to that toxicity which, in any case, is still there, that typical of foreign bodies. For that reason, they induce an inflammatory reaction. aggregates can stay around the injection site forming swellings and granulomas . But they can also be carried by the blood circulation, escaping any attempt to guess what will be their final destination. We believe that in many cases they get distributed throughout the body without causing any visible reaction, but it is also likely that, in some circumstances, they reach some organ, none excluded and including the microbiota, in a fair quantity. As happens with all foreign bodies, particularly that small, they induce an inflammatory reaction that is chronic because most of those particles cannot be degraded. Furthermore, the protein- corona effect (due to a nano-bio-interaction ) can produce organic/inorganic composite particles capable of stimulating the immune system in an undesirable way [19-22]. It is impossible not to add that particles the size often observed in vaccines can enter cell nuclei and interact with the DNA . And a recent study showing that Influenza can increase risk of getting Influenza! Vaccine advocates often point to polio vaccine as a great example of how effective vaccines can be, but the story, again, is far from black and white. A useful DVD on this subject is Vaccines: The RIsks, The Benefits, The Choices by Sherri Tenpenny DO, an excellent presentation by one of the leading experts on vaccine safety. 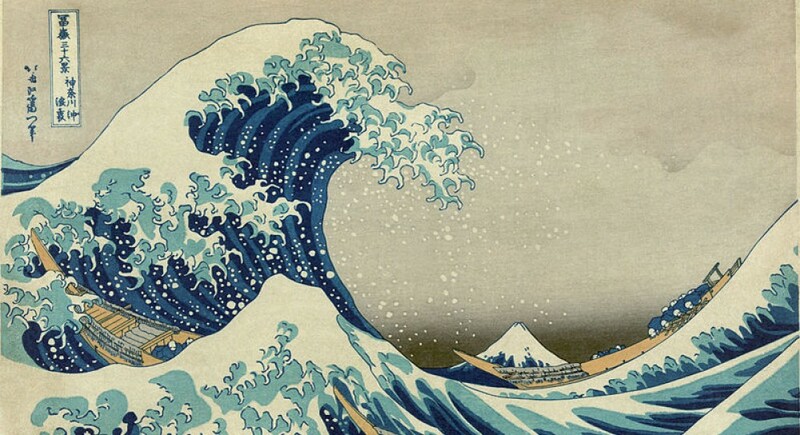 We live in a polarized nation with major schisms of Democrat vs.
these into collision, igniting strong feelings, anger and fear in many quarters. against their will. No wonder people are so upset! is the current focus of people’s concerns. Evidence that getting measles significantly reduces risk of a wide variety of cancers! Some commentary on the politics of this debate and how this could even lead down the slippery slope of a totalitarian state; at first that may sound extreme but is a country where people are forced to have toxic chemicals and biological agents injected into them against their will a free country? Earth Day 2018: Can Hemp Help Save Earth’s Environment? This week many celebrated marijuana on 4/20, while we also honor Earth Day on 4/22. Earth Day is not so much a celebration as a call for us to become aware of the incredibly widespread destruction and havoc humans have wreaked upon our environment and a plea for us to dramatically change this before we destroy our habitat. The closeness of 4/20 and 4/22 is apropos, as the banned and controversial cannabis plant offers arguably the single best way to ameliorate many of the problems our society and ecosystem currently face. Cannabis (also known as hemp and marijuana) is one of the oldest cultivated plants. I know of no plant with such a wide range of beneficial uses. It is claimed that the hemp plant has 50,000 uses. Cannabis is among the very best sources of food, cloth, oil, paper, and building materials. It grows quickly (like a weed), thrives in a variety of climates, is naturally resistant to most plant diseases, requires little weeding and enriches the soil it is grown in. Hemp is a superb source of fiber, historically being used for rope, cloth and paper. The sails and ropes on Columbus’s ships (and most ships in that era) were made from hemp, the first American flag was made from hemp and the Declaration of Independence was written on hemp paper. From 75%-90% of all paper in the US was made from hemp until the late 1800’s. George Washington famously wrote “Make the most you can of the Indian Hemp seed and sow it everywhere” and grew it at Mount Vernon. Thomas Jefferson and James Madison also grew hemp. They grew it for its industrial uses and it is unlikely that they used it medicinally. Ben Franklin started the first hemp paper mill in the US. An acre of hemp will produce 4.1 times as much pulp for paper per acre as an acre of trees. It will produce 2-3 times as much fiber for cloth per acre as cotton. Cotton production requires very intensive use of water, pesticides and nitrogen-based fertilizers which increase nitrogen dioxide emissions, which are 300 times more potent than carbon dioxide as a greenhouse gas and which also contaminate groundwater. Cloth made from hemp is softer, stronger, warmer and more durable than cotton. The first Levi jeans were made from hemp cloth. Hemp-based materials can replace wood and other building materials used in foundations, walls, shingles, paneling, pipes and paints. Concrete made from hemp, such as Hempcrete, is lightweight, waterproof, fireproof, self-insulating and pest-resistant and can be used to build roads and bridges. The oil from hemp plants can be used as a fuel. Henry Ford expected that ethanol distilled from hemp and other biomass plants would be the preferred fuel for cars and built a car made from plastic-like material derived from hemp fiber that ran on fuel distilled from hemp. This plastic was 10 times stronger than steel and weighed far less. Hemp is the most efficient producer of biomass per acre on Earth. Hemp can be distilled into charcoal, methanol, pyrolytic oil and gasoline at a 95.5% fuel to feed ratio. It burns much cleaner than fossil fuels, producing virtually no sulphur or ash. While burning it does produce carbon dioxide, that same amount of carbon dioxide is converted back to oxygen by growing hemp plants, creating a completely balanced cycle that adds no net carbon dioxide to our atmosphere! Hemp is a also a valuable source of food. Hemp seeds are a powerhouse of nutrition, containing one of the highest protein contents of any food including all 20 amino acids and all 9 essential amino acids. It is nature’s highest source of essential fatty acids with an optimal 3:1 ratio of omega 6 linoleic acid to omega 3 linolenic acid. It is a rich source of minerals such as magnesium, potassium and iron and has many vitamins, especially Vitamin E, and is an excellent source of dietary fiber. It is highly digestible and undoubtedly one of nature’s most perfect foods. Hemp seed oil is perhaps the healthiest oil (and makes a fine salad dressing) and hemp milk is a nutritious milk substitute. While industrial hemp is the same plant as medicinal cannabis, the strains grown for industrial use have minimal levels of THC and other psychoactive compounds, while the strains used medicinally have been bred to have very high levels of psychoactive compounds. The cannabis plant has been used medicinally for thousands of years, being mentioned as a popular medicine in ancient China in 2900 BC and was widely used in Asia, India and the Arab world. 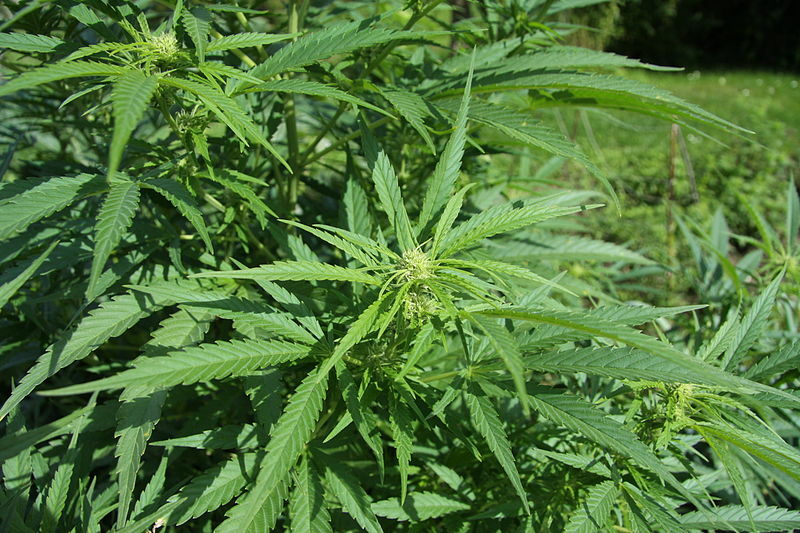 According to Medical Marijuana Law by Boire and Feeney, “By 1850, marijuana had made its way into the United States Pharmacopeia [an official public standards-setting authority for all prescription and over-the counter medicines], which listed marijuana as treatment for numerous afflictions, including: neuralgia, tetanus, typhus, cholera, rabies, dysentery, alcoholism, opiate addiction, anthrax, leprosy, incontinence, gout, convulsive disorders, tonsillitis, insanity, excessive menstrual bleeding, and uterine bleeding, among others. Patented marijuana tinctures were sold and widely used as a medicine in the US until 1937, when it was outlawed (despite opposition by the AMA!). While there is a surprising amount of modern research on the medicinal uses, such research has been limited due to its legal status. The conditions marijuana are most widely used for include nausea and vomiting (particularly associated with chemotherapy), seizure disorders, migraine headaches, glaucoma, muscle spasms, including those associated with multiple sclerosis, Tourette’s syndrome, obsessive-compulsive disorder, attention deficit disorder, irritable bowel syndrome and inflammatory bowel disease, premenstrual syndrome, menstrual cramps, Alzheimer’s disease, poor appetite associated with wasting diseases like AIDS and with chemotherapy, asthma, insomnia, anxiety, depression and chronic pain, especially neuropathic pain, a difficult-to-treat type of pain associated with cancer, diabetes and neurological disorders. Medical marijuana is also increasingly being used to treat cancer based on recent research showing it can kill at least some types of cancer cells. There are many individuals with conditions for which medical marijuana appears to work far better than any known pharmaceutical medicine. Twenty-nine states and Washington DC have legalized the medical use of marijuana and nine of these have legalized it for recreational use. This is leading to refinement of its medical uses. There are 2 main strains, sativa, which is more stimulating, and indica, which is more sedating, but there are hundreds of substrains that contain various mixtures of the 400+ chemicals found in cannabis. The main chemical in cannabis that causes the “high” is THC ( Tetrahydrocannabinol), which also appears to have anti-cancer properties. The other main medically-active substance is CBD (Cannabidiol). This does not make people feel “stoned” but is anti-inflammatory and reduces pain, anxiety and muscle spasm and also appears to have anti-cancer properties. Thus, some strains are better for insomnia or muscle spasms, some better for nausea or appetite, etc. Besides smoking the plant, it can be used orally and topically. Vaporizers allow one to inhale the vapors without smoke. Many users do not want the “high” associated with marijuana. Using it topically relieves pain without altering consciousness, as does ingesting the juice of fresh leaves, or choosing strains high in CBD. Until about 10 years ago my main concern about the use of marijuana as a medicine was that while it is very safe and effective, it was primarily used to treat symptoms, and I am more interested in healing people than treating their symptoms. However, the recent research demonstrating that cannabis has powerful anti-cancer, anti-inflammatory and immune-modulating properties suggests that it is a very useful medicine in supporting true healing. Of course, the most common use of marijuana is “recreational” but even this use may have significant medical benefits. As a recreational substance marijuana has a calming effect that eases anxiety and helps many to cope with the stresses of modern day living. It increases sensitivity to lights, sounds, taste, smell and touch. It often opens one’s mind to new ideas and can enhance creativity. Many users ascribe spiritual benefits to its use, and it does have a long history of use by yogis in India as an aid to meditation and spiritual practice. Its use as a relaxant is a viable alternative to alcohol and drugs like Valium, as it is much less toxic and addictive than those substances. Anything that helps people better cope with stress and can help them to connect with their spiritual self is likely to significantly benefit their health. Of course, like all medicines, marijuana has potential side effects including poor short-term memory, difficulty concentrating, anxiety and fatigue. While marijuana has a measurable yet relatively mild effect on psychomotor skills, it does not appear to play a significant role in vehicle crashes, particularly when compared to alcohol. Like many medicinal substances, marijuana can be abused by some. Often when people first start using marijuana recreationally in adolescence they use it daily for a period and it may be used to avoid dealing with emotional issues and as a means of escape and withdrawal. However, most recreational users evolve out of this phase and use it only occasionally. It may be wise to avoid or minimize use in adolescence. One widely publicized study found that regular use before 18 may result in long-term lowering of IQ, though a more recent study found no evidence of marijuana lowering IQ in adolescents. No medicine is equally suited for everyone. Marijuana certainly does not agree with everybody, creating anxiety and paranoia in a significant proportion of users, and, like all medicines, should be used with caution. However, those who have negative experiences with it tend to learn this quickly and avoid it. Also, those who react poorly to strains rich in THC may still have medicinal benefits from strains rich in CBD. As mentioned, cannabis was in widespread use as a patent medicine in the US in the 1800’s and early 1900’s. In the 1930’s Harry Anslinger, head of the Federal Bureau of Narcotics, ran a smear campaign against marijuana, generating propaganda including news stories and ads depicting marijuana as often leading to insanity and murderous violence, often with strong racial undertones. Marijuana prohibition began with the Anslinger-written “Marihuana Tax Act” in 1937. Many in congress did not even realize that marijuana came from the hemp plant. Today some authorities contend that the real reason marijuana was prohibited was because, with the invention of the decorticator, a device that made it easier to process hemp for industrial uses, hemp became a threat to the timber and nylon industries. The primary reason given by those who do not want to legalize industrial hemp is that this would make it difficult to maintain prohibition of marijuana. However, it is widely acknowledged that marijuana use is far less hazardous than alcohol and tobacco and it is illogical and a tremendous waste of resources that in 2007 an estimated 872,720 persons were arrested for marijuana offenses in the US and tens of thousands remain imprisoned. Because of marijuana prohibition, many who grow it illegally do so in national forests and on other public land, causing significant environmental disruption. An Oct. 2017 Pew Research poll found a majority of Americans now favor legalization of marijuana (61% vs. 37%). An overwhelming 72% of those surveyed (vs. 23%) in 2015 said the federal government’s efforts against marijuana “cost more than they are worth.” Many illustrious drug policy experts, economists and politicians both liberal and conservative advocate the decriminalization of cannabis. According to a paper by Harvard economist Jeffrey Miron, the federal government could save as much as 13.7 billion dollars annually by legalizing marijuana, with 7.7 billion coming from the cost of enforcing current laws and 6 billion from tax revenues. However, this figure only looks at the medical uses of marijuana and does not take into account the potential savings from using hemp for fuel, paper, cloth and building materials. The Department of Defense Budget for 2014 was over 620 billion dollars. A large amount of that budget is used to defend our access to foreign oil. By not having to ensure this our military budget might be reduced at least 20%, resulting in 124 billion dollars or more in additional savings. Thus, the use of industrial hemp can revolutionize our economy and tremendously reduce the stress we are placing on the fragile ecosystem of planet Earth. It is estimated that 6% of the US landmass cultivated for hemp would meet ALL of our current needs for oil and gas. Imagine a world without the environmental havoc of oil drilling, oil spills, pipelines, coal mining, and fracking let alone the need for a huge military presence and wars fought to ensure our supplies of foreign oil. Imagine no need for nuclear power and the attendant hazards of world-wide radiation contamination. Imagine a world with no need to cut down forests for paper and building materials. Imagine reducing the amount of pesticides released into the environment by 16-25% and dramatically reducing the use of environment-degrading nitrogen-based fertilizers by replacing cotton farms with hemp farms. Fortunately attitudes are starting to change among the powers that be. While Attorney General Jeff Sessions has truly Neanderthal attitudes about marijuana, expressing the intent for the Federal Government to do its best to crack down on the efforts of most states to legalize, at least for medical use, President Trump on 4/11/18 assured Senators that he would support states’ rights to set their own marijuana policies without interference from the Federal Government. And on 4/20/18 Senator Chuck Schumer introduced legislation decriminalizing marijuana on a Federal level, removing marijuana from the list of substances classified under the Controlled Substance Act and allowing states to regulate its sales. Now is the time to end the senseless prohibition of hemp. I believe that future generations will look back at our current prohibition of hemp with the same sense of bewilderment that we have when we look back upon such misguided policies as tolerance of slavery and denying women the right to vote. Rather than prohibiting the hemp plant, this incredibly useful and valuable plant should be the very foundation of our economy. There is a large amount of readily available information on cannabis. This is a chapter from an academic agriculture book. It is extremely thorough and very well-documented. If you enjoy this post please check out some of the other articles on this blog, discussion nutrition, vaccines, Lyme disease and other important topics.